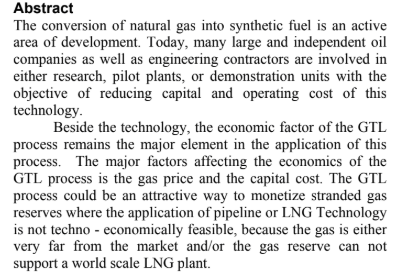 Research Paper on GTL: Is It An Attractive Route For Gas Monetization? Authors: Osama Abdul Rahman and Mohamed Al Maslamani. Presentation Date: 10–13 October 2004. Exhibition: 11th Abu Dhabi International Petroleum Exhibition and Conference held in Abu Dhabi, U.A.E. This research paper on GLT and Gas Monetization was presented by Osama Abdul Rahman and Mohamed Al Maslamani in 11th Abu Dhabi International Petroleum Exhibition and Conference held in Abu Dhabi, U.A.E. 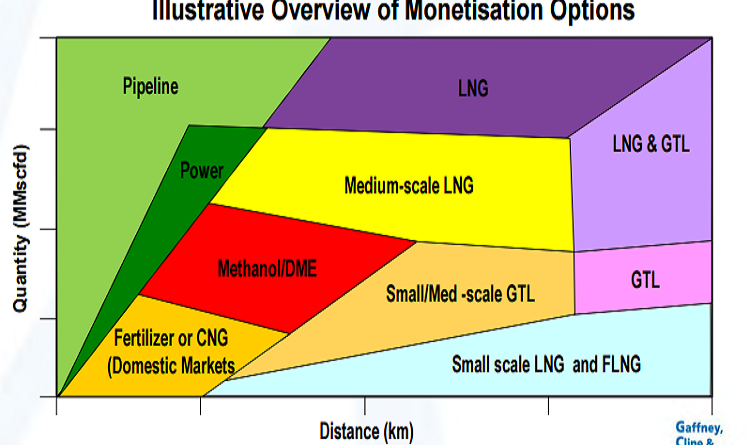 Download this GTL: Is It An Attractive Route For Gas Monetization? Pdf right now from our website.